This sunning 2 bed/2 bath, 840+ sqft unit is bright, south facing & boasts panoramic waterfront views from every room. You don't want to miss this one. Features: excellent open plan, good room separation, fireplace, granite countersthroughout, stainless apps, oversized windows, large balcony, & bonus LCD TV w/speaker system. Kitchen offers plenty of cabinet & counter space. Master has his & her closets, ensuite & 2nd bedroom is spacious w/excellent closet space. 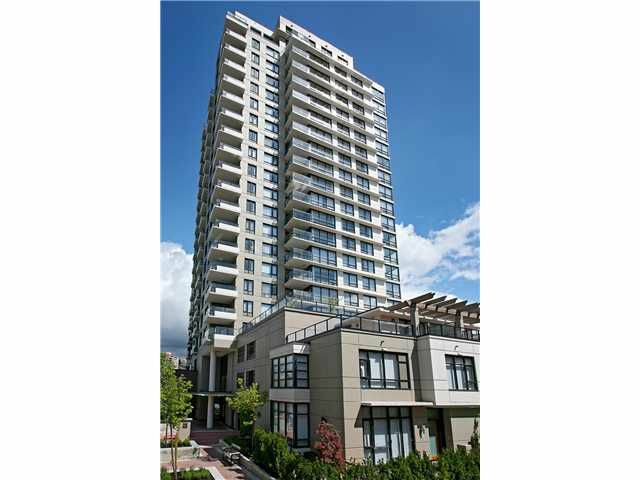 The Q, Aragon built, offers 2-5-10 yr warranty, amenities & is located on desirable New Westminster Quay waterfront. Close to: transit, shopping & rec. A must to see. Act now!